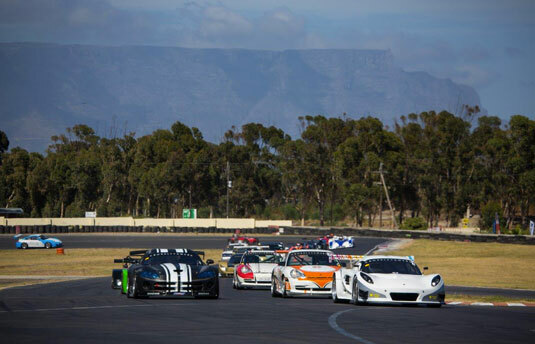 The Pirelli Sports & Gt series is currently South Africa’s premier sports car category. Based at Killarney International Raceway it caters for all sports car and Gt makes. These include Ferrari, Porsche, Dodge, Lotus, Aquila, Juno, Lotus 7 as well as locally built sports and GT marques. The invitational series is open to all pre-approved Sports & Gt cars and boasts healthy grids with close racing through-out the time based classes. With a ten lap two race format the Pirelli Sports and Gt race is often the main draw card for all the Power Series rounds with the front runners reaching 280km down Killarney famous back straight and having explosive acceleration out of tighter corners, a spectacle well worth seeing! This is an invitational series open to pre-approved cars that fit the Sports and GT genre. Drivers must have a competition license and must be paid up members of the Western Province Motor Club and Sports & GT series.